The Circle Rivet Ring has an brilliant cut Moissanite stone that is cleverly tension set in place utilising flush spaced rivets. The Moissanite is 1.36ct and the metal is all Sterling Silver. It features a polished finish. While a statement piece, this is a comfortable ring to wear. The three layers mean that is is quite lightweight. The flat top band also helps to keep the ring in place on the finger. Great as a cocktail ring or for some everyday pizzazz. This Moissanite and Sterling Silver ring is one of a kind, made to Size J (UK) / 4 5/8 (US). 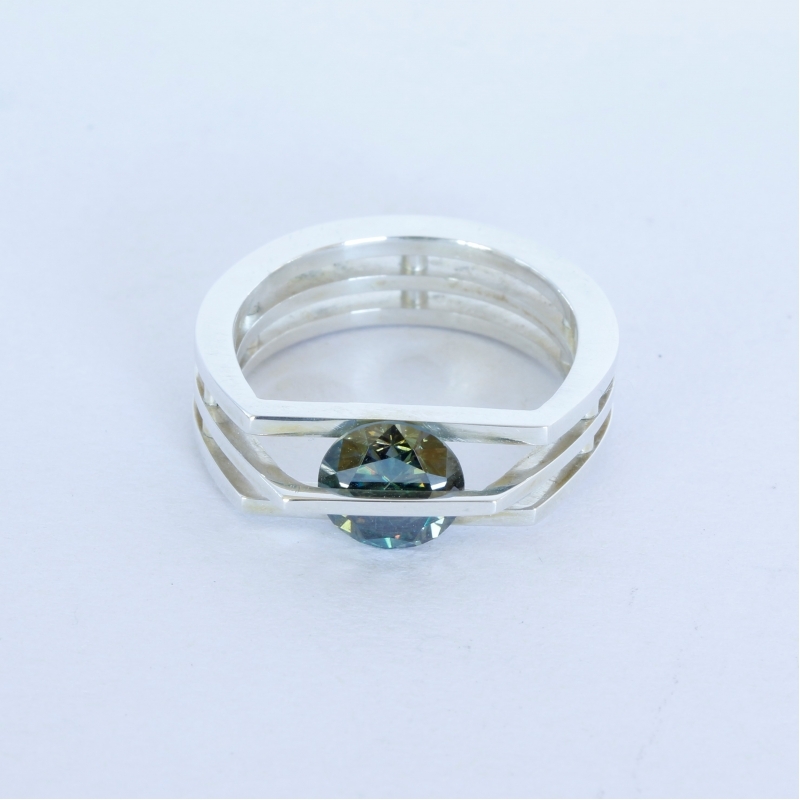 This ring can be reproduced using alternative stones and metals. Please contact us at sales@eclecticartisans.com to enquire.